Boston 1775: “The Revolution May Have Been Astroturfed”? 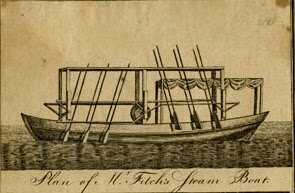 In observance of Boston Tea Party time, the New Yorker has published an article titled “Tea and Antipathy,” by Caleb Crain of Steamboats Are Ruining Everything. 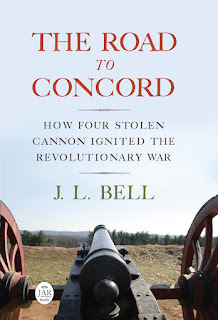 It discusses the tea crisis, the rest of Boston’s Revolutionary turmoil, and how those events appear in Ben Carp’s Defiance of the Patriots, T. H. Breen’s American Insurgents, American Patriots, and Richard Archer’s As If an Enemy’s Country. Also vital to the discussion, as it should be, is John W. Tyler’s Smugglers and Patriots, from 1986. Today at 3:00 P.M., Eastern time, Crain will participate in the magazine’s online “Ask the Author” session, so read fast to prepare. The article starts with a classic fictional picture of colonial unrest, Nathaniel Hawthorne’s short story “My Kinsman, Major Molineaux.” Hawthorne distrusted fervent public reform, whether it was Puritanism or Abolitionism, and even the Revolution disturbed him—though he had to express that discomfort obliquely. Hawthorne thus set his story in the 1740s or so, but it clearly comments on the Revolution, and unfavorably. in much the way that journalists have begun to ask whether shadowy corporate interests may be sponsoring today’s Tea Party, historians have long speculated that merchants may have instigated early unrest to protect smuggling profits from British regulators—that the start of the Revolution may have been Astroturfed. I found myself worrying that the corruptions of profit-seeking may have deformed America’s political process at the nation’s inception. . . . It was the Progressive historians of the early twentieth century who first gave a scholarly formulation to the idea that merchants, eager to protect their smuggling profits and to dodge tax burdens, manipulated popular discontent in the colonies and then lost control of the fire they had set. In his essay, Crain traces the response to this idea. I think there’s a lot to it, but in the end I side with those who find the thesis too “reductive”—which is the same word I’d apply to those historical approaches that focus exclusively on ideological arguments. One big problem with the self-interested picture of the Revolution is that historians always seem to focus their critiques and exposés on only one side. Crain rightly questions whether we should always take the self-proclaimed Patriots’ proclamations at face value, but cites stories from Loyalists like Peter Oliver and Samuel Peters less critically. The essay has a long paragraph on sources by and about Gov. Thomas Hutchinson, fascinating and indeed in some ways tragic. Not mentioned is that Hutchinson had strong personal incentives to see the East India Company’s tea landed and sold. His sons were designated agents for the company, he had apparently invested thousands of pounds with them, and his gubernatorial salary came from the tax on that tea. Hutchinson was sincerely interested in Massachusetts’s welfare within the British Empire, but his economic motives were just as strong as his political foes’. Boston’s big businessmen felt threatened. Not only might smuggling cease to be profitable but, if the experiment of direct importation were to succeed, it might cut them out of the supply chains for other commodities as well. Clearly, it was time for Sam Adams and William Molineux to rile up the public again. Molineux came from the merchant class, and had been a smuggler, but by the 1770s he appears to have been living dangerously off the proceeds of property he managed for Charles Ward Apthorp, a New York Loyalist. Molineux was deeply involved in a public-works project rather than maintaining his own mercantile business. As for Adams, in 1773 he’d been trying to “rile up the public” for months over the issue of judicial salaries without much success. He finally got traction with Benjamin Franklin’s leak of letters by Hutchinson and other royal officials criticizing New England self-government, which appeared to confirm what Adams had been warning about all along. That keyed people up to focus their anger on Parliament’s monopolistic grant to the East India Company. But why did tea become such a galvanizing issue outside Boston as well, spawning a continent-wide mass movement? “Tea and Antipathy” acknowledges the answer: that “The tea tax had become a symbol, and it infuriated the populace. . . . Indeed, for consumers, anger over the tea tax had never made much economic sense.” In other words, for Americans there was a political issue at stake, even if some rich men had money at stake as well. Boston’s merchants certainly drove the opposition to Parliament’s new laws back in the early 1760s, when James Otis, Jr., as their lawyer first came up with the “no taxation without representation” argument. But that wasn’t a mass movement. In fact, I’ve read that no newspaper in any other colonial port covered the case. It took what Crain calls “the universally unpopular Stamp Act” to start sensitizing the populace to imperial taxation policy. With more new taxes in 1767 and then soldiers in the streets, the political movement grew beyond the merchants’ direction and issues. Of course, the debate on what was most important when has been going on a long time, has produced lots of important work, and will continue. Crain’s review of the argument is solid and helpful, and his remarks on sources sound. I reviewed Archer’s book on the Boston Massacre for the New England Quarterly; I suspect Crain might have found more fuel for his suspicions in Hiller B. Zobel’s The Boston Massacre. The Breen book goes over some of the same ground that Ray Raphael’s The First American Revolution did a few years back. TOMORROW: One more author to read, or, Why Parliament kept the tea tax. [* Me: Hey, Mom, today I got mentioned in this historiographical blog entry connected to a New Yorker article. Mom: Historiography? Just what I like! What’s the link? Mom: Ha! What a wonderful blog name! Who writes it? I prefer to think Mom was just excited at the prospect of seeing my name in pixels on someone else’s blog. Did the tea party participants (who actually dumped the tea) use the term "tea party" for the protest, or was that a name given to it later? The name “Boston Tea Party” came decades later. I’ll discuss its genesis sometime in the next week.